Our family has expanded by one since late December. 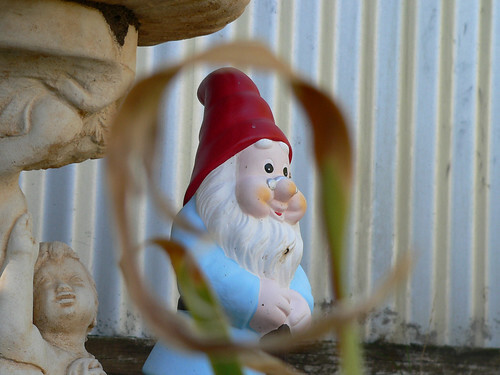 No garden should be without a garden gnome, and now we have one courtesy of a dog-walking friend. He has pride of place near the birdbath and can survey the whole backyard. We haven’t given him a name yet, serious oversight on our part. Any ideas?